ProForma has an Enterprise ANSYS 17 Mechanical for linier and non-linier FEA analysis and design certification for parts. Ranging from Heavily Loaded simple parts to complex assemblies. ProForma has designed grain bins and frac sand silos to international codes of construction. Simple hopper and cone bottom cylindrical bins and complex rectangular bins with offset discharge chutes have all been successfully designed in this office. 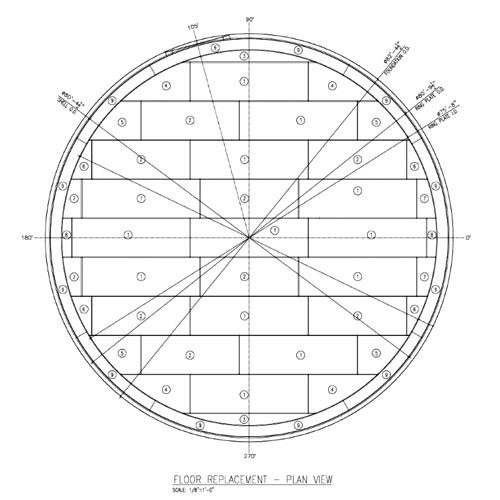 API 12F, API 650, and API 620 tank design for both shop and field erect tanks. We have designed rolling chassis and equipment for highway haulage manufacturers.